Spirit of the Environment brings spiritual and religious concerns to environmental issues. Providing a much needed alternative to exploring human beings' relationship to the natural world through the restrictive lenses of 'science', 'ecology', or even 'morality', this book offers a fresh perspective to the field. * the non-instrumental values which have inspired environmental concern. Contributors range from a variety of disciplines including philosophy, comparative religion, education and social anthropology, providing students with an intriguing survey on the role that spirituality and religion play in nature. 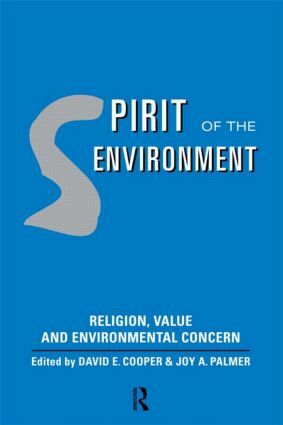 This is a vital collection for those eager to examine the relationship between the spiritual and the environment.